The sexual harassment of women at their workplaces is a rampant and distressing issue. It not only undermines the confidence of women to work freely, but also leads to a corresponding negative impact on the performance and reputation of the organization. As women’s fight against sexual misconduct gains momentum in India with the viral #MeToo movement, companies must take a more substantive approach to sexual harassment of women at the workplace. In this article, we look at India’s law on prevention of workplace sexual harassment. We also suggest common practices that human resource (HR) managers can undertake to ensure dignified and equitable work environment for women employees in their company. The Sexual Harassment of Women at Workplace (Prevention, Prohibition and Redressal) Act, 2013 (the Act) prescribes a system for investigating and redressing complaints against sexual harassment of women at the workplace. It also provides safeguards against false or malicious charges. With sexual harassment being a crime, employers are obligated to report offenses. Humiliating treatment likely to affect health or safety. Any other unwelcome physical verbal or non-verbal conduct of sexual nature. Societies, trusts, and non-governmental organizations, where people work on a voluntary basis. Here, it must be noted that with respect to domestic workers, the Act considers even a house as a workplace. Section 26 of the Act prescribes penalties for non-compliance and includes a monetary fine of up to Rs. 50,000 (US$679), amongst other penalties. The penalty may extend to Rs 2.5 million (US$33,954) and imprisonment for every officer of the company who is in default for a term which may extend to three years or with fine in the range of Rs 50,000 (US$679), and Rs 500,000 (US$6,790). If an employer repeats the same offense, authorities can double the financial penalty and/or cancel the registration of the entity or revoke any statutory business licenses. Once a sexual harassment case is reported, employers must collect evidence and take action within three months. If the aggrieved woman is not satisfied, she can approach the court under section 509 of the Penal Code, or report to police and revisit the complaint. To tackle the problem of sexual harassment at workplace, the Ministry of Corporate Affairs, through a notification dated July 31, 2018, amended the Companies (Accounts) Rules 2014. The notification makes it mandatory for private companies to disclose their compliance with the Act in their directors’ annual report. Furthermore, the Act places responsibility on the appropriate state government to notify the district officer for setting up a Local Complaints Committee (LCC). 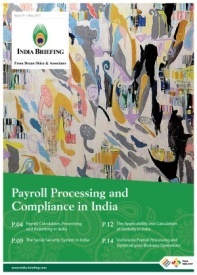 State governments are expected to monitor the implementation of the Act; the LCC is required to investigate complaints received from employees in cases where an ICC has not been constituted by the employer or the complaint is against the employer. 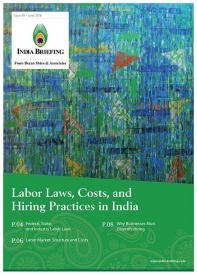 The Act is, however, not without limitations – it focuses only on women employees, and does not cover women in the armed forces and excludes women agricultural workers – the single largest female component of the workforce in India. How can HRs ensure compliance with the Sexual Harassment Act? HR managers are on the front lines when it comes to changing cultural attitudes about sexual harassment. This makes it truly critical for hiring managers to learn from the #MeToo movement and take effective action against sexual harassment in the workplace. Update the official employee handbook that outlines the procedure that will take place when sexual harassment is being experienced at work. Include an unequivocal statement that sexual harassment will not be tolerated. Give out a clear, simple, and easy-to-understand description of what constitutes harassing behavior or conduct, including examples of the types of behaviors that are considered harassing at the workplace. Implement training for all to include more focus on gender identity and sexual orientation, and emphasize gender neutrality regarding who may experience sexual harassment. Sensitize male employees and reinforce confidence among women to come forward and file complaints. Stay updated on employment law changes where their employees live or work. HRs must also utilize professional associations, legal counsel and online resources to ensure that the company is compliant and aware of existing and upcoming legislative changes related to employee rights.